Many Liverpool fans will consider this too little, too late. Others will consider it toothless. Some will state that once a Liverpool player goes on to represent Manchester United, he has no right to comment on our club whatsoever. There will be some though that understand Owen’s plight, and recognise he’s a person as capable of making mistakes as any of us. We’re honestly not sure where we stand yet. Quotes are surfacing from Owen today that intimate he only moved to United because Liverpool had repeatedly turned him down. But they don’t entirely make sense… The Englishman signed for United in 2009, but says he asked friend Jamie Carragher if Kenny Dalglish or Brendan Rodgers wanted him at Anfield – only moving to Old Trafford after we rejected him. 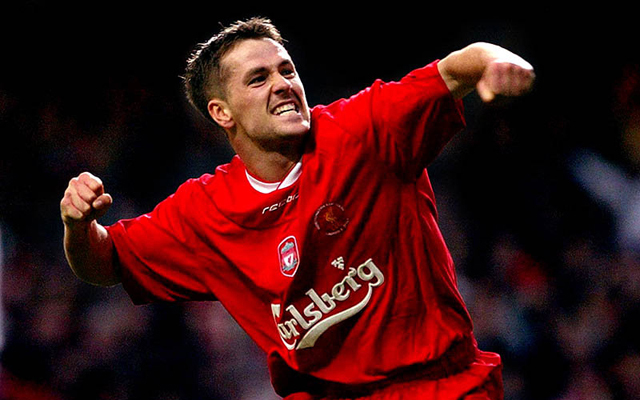 “At every stage – every summer – I was on the phone to Carra (Jamie Carragher) telling him to find a way to get me back,” Owen told Simon Hughes – who has published his excellent book Ring of Fire – which has been serialised in the Echo. “’Does Rafa want me?’ I’d say. ‘Does Kenny want me? Does Brendan want me?’ It was circumstance that stopped it happening. I spoke to Carra and tried to get (Rafa) Benitez to do something. I wanted to try to put it right somehow. You shouldn’t have decided to retire, Michael – you just shouldn’t have signed for United. Leaving to join Real Madrid was forgivable, even if you did run down your contract. Moving to our arch enemies? Bridges have been permanently burnt.